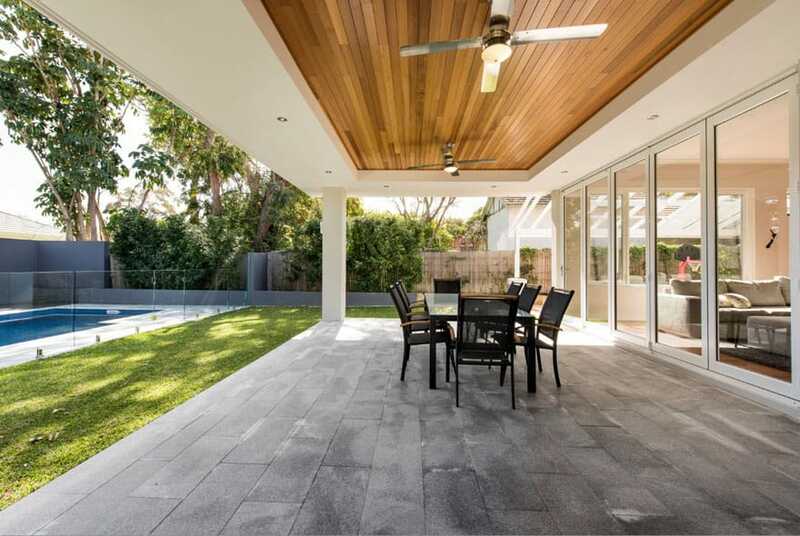 Renovating your alfresco area can often be overlooked in favour of internal renovations. But there is a lot to be said for a well-designed outdoor space. Not only can it enhance the overall appeal and value of your home but it can also add significant benefits to your lifestyle. What better way to enjoy Perth’s wonderful weather than by relaxing outside in your newly completed alfresco area? What a perfect place for an outdoor lounge! 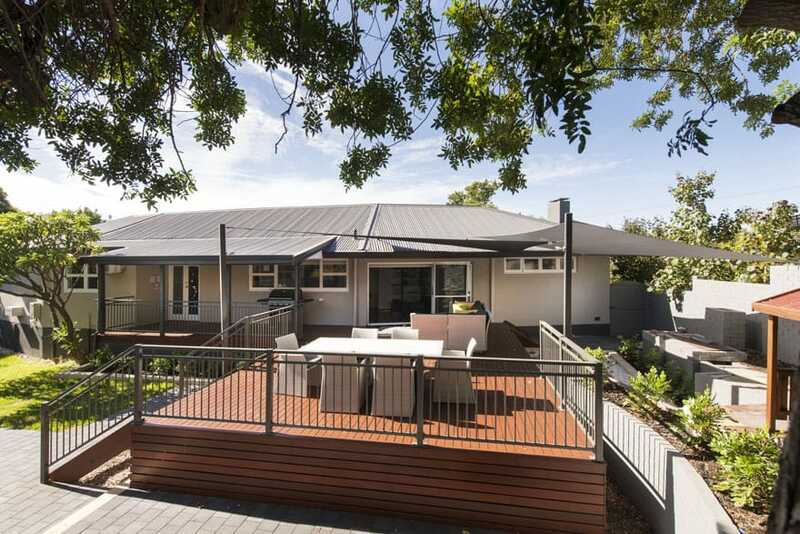 The alfresco renovation has thoughtfully connected the living area and pool of this Mosman Park home. Renovating an alfresco area can seem like a fairly straightforward process, however, it is possible to overlook important elements and miss out on an enhanced user experience. Considering the design and layout of your alfresco area and how you will predominantly use the space will mean the difference between a simply functional alfresco area and an amazing outdoor living space. If you think about your alfresco area as a natural extension to your indoor living space, it can help you look at it in a new light. How do you intend to use your alfresco space and what features you want to incorporate? 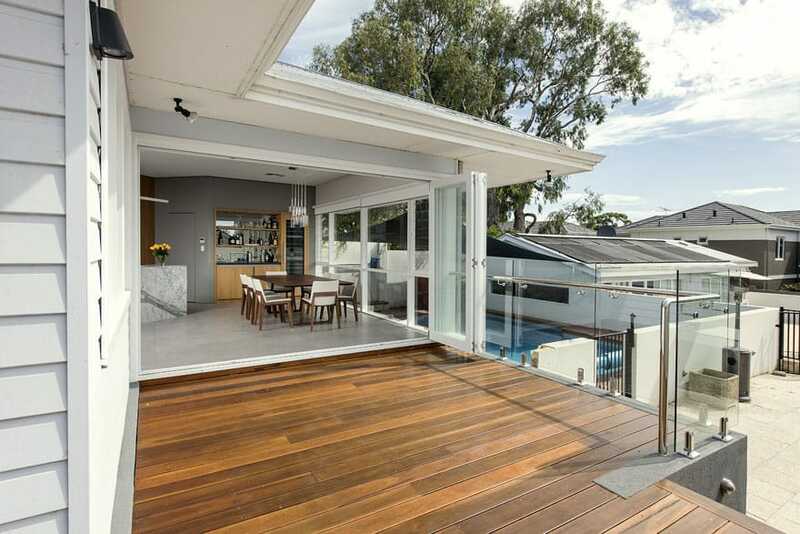 Will the area be mainly used as an outdoor dining area or would you prefer a more relaxed outdoor lounge room? A deck can be the perfect place to watch the sun set over the pool, preferably with a beer or wine in hand! While outdoor living and dining areas are the most popular choices, it doesn’t mean you can’t add other ideas and features. Elements such as bars, spas, water features or fire pits can easily be incorporated into your alfresco space. Furniture will also need to be considered in the design and layout of your alfresco area, and we recommend you sourcing your ideal furniture before designing the layout so you can be sure it all fits. Alternatively, you can let us source it all for you. Just like your interior renovations, your exterior renovation options will be determined mainly by your budget. But, just like an interior renovation, there is still a wide range of options and choices available to cater for all budgets. Whether you are looking to incorporate structural elements to your alfresco area, such as a pergola or roofing or are simply looking to revamp the existing finishes, you budget will need to be considered. Building material for your exterior space can become costly, particularly if you have a large area to renovate, however, if you make the right choices these materials can last a long time making them a better investment in the long run. When thinking about the fixtures and finishes in your outdoor alfresco area, it’s important to select finishes and fixtures that not only enhance the space but are durable and can withstand outdoor conditions. 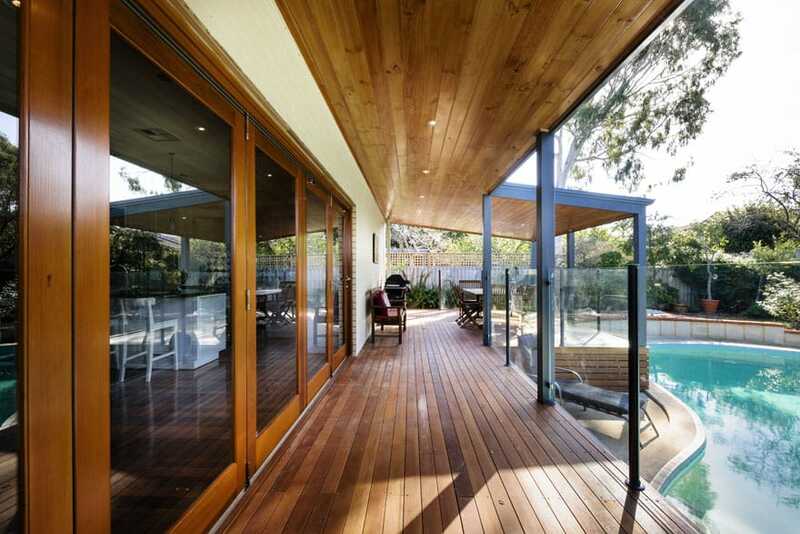 Decking is ever-popular in alfresco renovations in Perth, with plenty of long-lasting products available if you don’t like the maintenance of timber. While exterior fixtures and finishes may appear to be limited in their selection, there are still plenty of design options available. The best design choices are those that complement your interior design selections. This could mean selecting the outdoor version to your interior floor tile or installing timber decking so it marries up to interior timber choices. As renovation specialists, Exactus Homes can guide you in selecting the right finishes and fixtures for your perfect outdoor space. Storage is one area that can easily overlooked in an alfresco area, and while your alfresco area can function perfectly well without storage, incorporating it into your design can make the space more enjoyable to use. If you have a nearby pool or an outdoor kitchen, adding extra storage can make life easier by storing kitchen accessories and towels outside. Strategic and beautiful lighting can make all the difference in your alfresco area. It can transform a beautiful alfresco area by day into a stunning masterpiece by night. Well-planned lighting is important in your alfresco area by lighting stairs and pathways at night to reduce safety hazards. Lighting can also increase the functionality of the space through well-placed fittings over outdoor dining and cooking areas. This is not to say lighting can’t also be used to also set the tone and ambience of the space through use of soft lighting around a lounge settee or feature lighting illuminating the garden beyond. When planning out your alfresco renovation, Exactus Homes will talk you through your lighting options for the space. While the lighting fixtures do need to be weatherproof and suitable for exterior use, there is still a wide range of lighting options available, including downlights, uplights and wall sconces. While adding plumbing and electrical elements to an alfresco area is generally not as important to factor in as an interior renovation it can really enhance your outdoor living area and should be considered. Ceiling fans are a very smart addition for Perth summers! An outdoor kitchen in your alfresco area will benefit from the inclusion of plumbing and electrical, particularly if you want to add a sink or outdoor fridge. Adding a fan for summer or a heater for winter is also something to consider. Even a well place power outlet can make outdoor living easier. If you live outside, having a nearby source to charge your phone or tablet can make all the difference. Let’s not forget the option to add an outdoor shower. How good would life be to come home from a trip to the beach and be able to rinse off outside before heading inside to get changed. Carrying out an alfresco renovation can appear to be a simple process and an easy project to do yourself. But if you are looking to take your outdoor living space to the next level and enhance the overall look of your home. Bringing in the experts may be the better choice. Exactus Homes have undertaken numerous alfresco renovations and can work with you to get the most out of your outdoor alfresco area.